This can be termed as joke of the century that Modi govt. 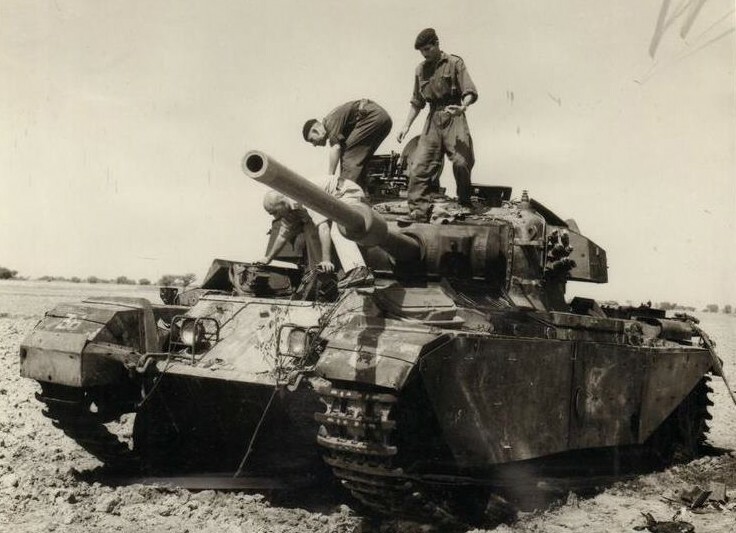 has announced to celebrate the defeat in 1965 from a ten times smaller army as VICTORY for the whole month of September. Does anyone need any other example of repetition of lies that Indian Information and Defense Ministry, analysts, journalists etc. will tell the stories of Indian victory in seminars that would be held in big cities of India during the month of September. 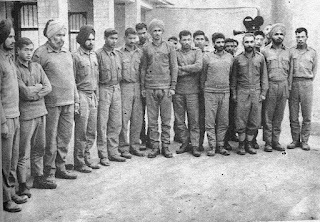 They will tell Hindu Indians that how Indian army started the day of 6th September 1965 with the plans to capture Lahore, Indian Prime Minister, Minister for Defense and Information released a Press Release for Indian and International Media that “Indian army has captured Lahore Garisson, Pakistani army has surrendered, on this eve of happiness General Chauhdary would have a drink of victory at Lahore Gymkhana”. 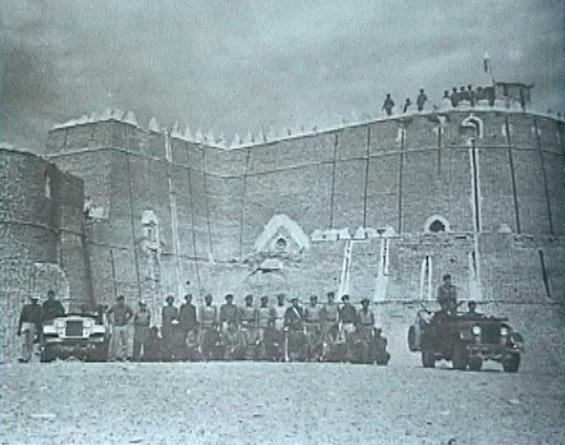 Or they will celebrate the end of Indian army on the Chawinda Battle front of Sialkot where the biggest battle of Tanks was fought after WW-II in which Indian army attacked with their all available Armored Divisions and lost perhaps due to the VICTORY and welcome by Pakistan army they received at Lahore battle front. First Indian attack on Bhiyani Bridge, Wahga Sector had been forced to retreat before sunrise in which Indian army sustained heavy loss of lives (this is another story that why Indian army was confident that Pak-army would not be present to resist against Indian army before BRB canal). 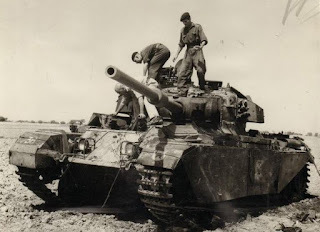 2nd biggest and full power attack of Indian army was from Batapur to Bhaisan village including infantry and APC units that was forced to lick dust as well. 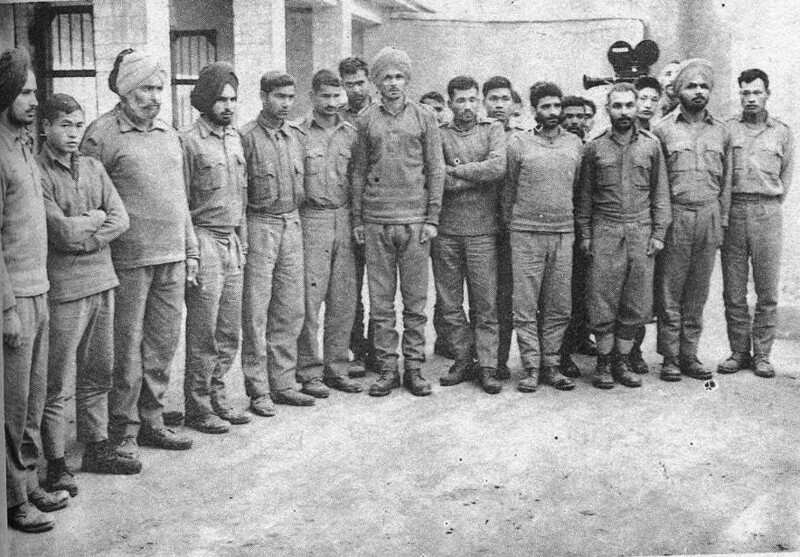 3rd attack was also launched in the same battle front however, Hindu army failed to cross the line of defense drawn by the blood of soldiers and officers of Pak-army. 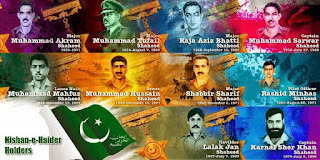 During attack on Lahore battle front first Major Aleem-u-Din got martyrdom followed by Major Arif Jan. afterwards Major Mubarak, Major Opal, Captain Khurshid, Captain Mazhar, Captain Sagheer, Captain Zahoor, Lt Jaffar and Lt Akhtar also got martyrdom. Nishan-e-Haider Major Aziz Bhatti also got martyrdom on this battle front and set an example of zeal and valor for the defense of motherland that is a torch to guide the upcoming generations. 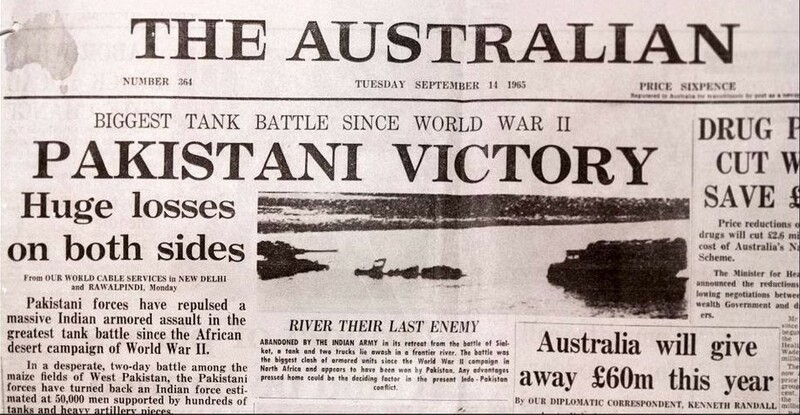 So Indians would celebrate defeat at Lahore Sector as victory in the month of September. 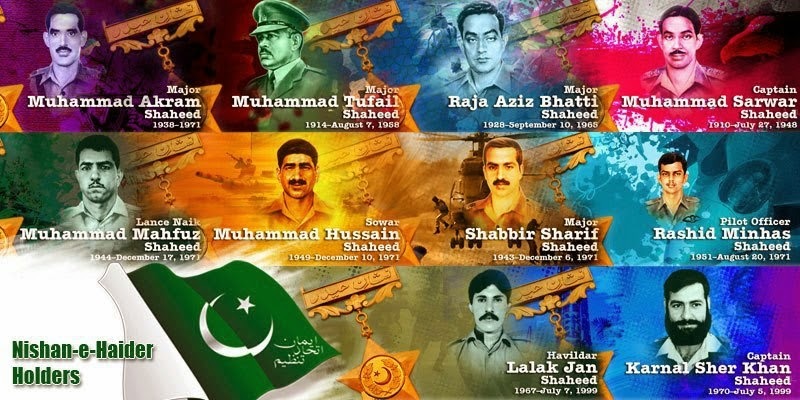 Pakistani nation celebrates 6th September as Defense Day in the commemoration of the sacrifices of the soldiers of Pak-army due to which all the plans of wicked enemy like India failed. Whole world not only welcomes the Pakistan’s celebrations but special messages are also sent to Pakistan. Indian rulers and military is well aware of this; in the same way 7th September is the day fixed to acknowledge the service and sacrifices of Pak-Air Force which is going on since last 5 decades. Now Pak-Air Force would celebrate its victory over several times bigger and powerful enemy to pay tribute to falcons of PAF. While India will be celebrating and telling its nation that shooting down of 5 Indian jets over Lahore in few moments like mosquitoes by M.M. 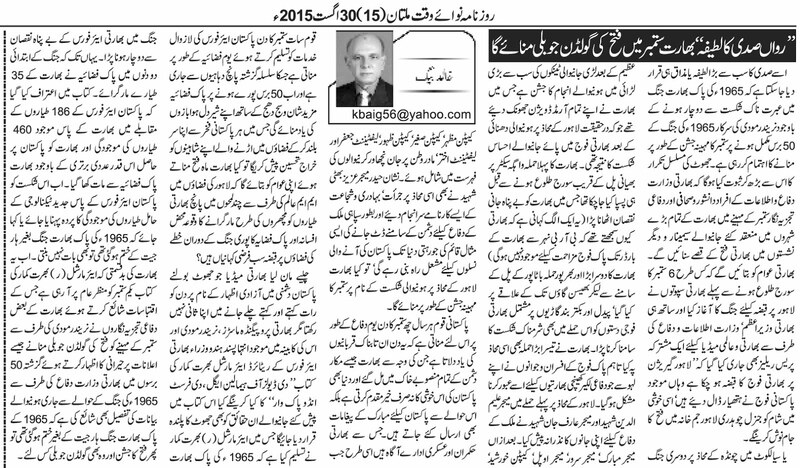 Alam and aerial supremacy of PAF during the 1965 war all are fabricated stories? We accept that Indian media having expertise in proving lies as truth in enmity against Pakistan in the name of Freedom of Expression but what will Indian Media, Propaganda Masters, Modi and his Cabinet of extremist Hindu liars would do of the book “The Devils of Himalayan Eagle: The First Indo-Pak War” written by Air Marshal Bharat Kumar. All the facts given in this book would be termed as fake and fabricated in which Air Marshal (R) Bharat Kumar has accepted that in the 1965 war Indian Air Force had to bear uncountable losses. In the starting two days of war IAF lost 35 jets in the hands of PAF. Book acknowledges that PAF having 186 jets established supremacy over IAF having 460 jets. 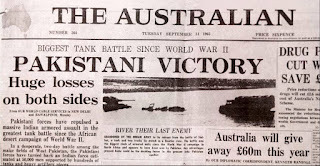 Now Indians may hide their defeat under the umbrella of PAF having technological supremacy or raising the issue that 1965 war ended in a tie may help Indians to celebrate their victory. This might be termed as ill fate of India that above mentioned book of Air Marshal (R) Bharat Kumar will be published on 1st September 2015, its excerpts has been already leaked out; commenting on these excerpts many Indian defense analysts have expressed concerns over Modi’s declaring September as a month of celebrations of victory over Pakistan and they have also referred to the statements of Indian Defense Ministry regarding 1965 war during last decades stating that 1965 war ended without any decision of defeat or victory so how can India celebrate its Goldern Jubilee of Victory??? Date : 30 August 2015.